6 vendors have this plant for sale.118 members have or want this plant for trade. As a northerner I just discovered this plant when I saw some wild specimens growing in southern Florida. It is a good-looking shrub. It has larger leaves ( 4 to 8 inches long x 2 to 4 inches wide) than the three East Asian species that are used in landscaping (which have leaves 2 to 5 inches long) and the leaves and twigs are very soft hairy. It gets to be a taller shrub from 3 to 10 feet high. Its berries cluster around the nodes in big clusters. It is native from southwest Maryland down through Florida into the West Indies and west over into Arkansas and then down into Texas and Mexico. It should be hardy to Zone 6a and then good to Zone 11. Native plant nurseries grow some in the South and Mid-Atlantic. It should be used more in landscapes. Being a native species, it offers itself as a ... read morebetter food source for native beneficial insects and birds than the Asian species. We have these growing "wild" all over our property. The birds enjoy them including our chickens. In fact, I have fed these berries to chickens when they seemed ill and they seem to perk right up. I have done this several years and I think there must be some potent antioxidants in the berries. I wonder if there has been any studies on what is in them and if it would be beneficial for humans? I have tried a few fresh ripe berries and they don't have much flavor and have a pleasant perfumey aroma. I thought they would taste nasty but they weren't that bad lol. I know people make jelly from them. I might try that. Cooking them probably reduces the antioxidants from them. I haven't read anything about the fresh berries being poisonous to humans but people should research on their own b... read moreefore trying anything. This plant appears on none of the reliable toxic plant databases. I find the Japanese species C. dichotoma and C. japonica to be more graceful in habit. It is native here in Western Arkansas but I haven't noticed it being invasive here. That being said, the plants I have grown were volunteers that "just showed up", probably deposited by birds. I had good results from pinching back branches to get the plant to produce more of them. Next year I intend to try pruning to a single stem to achieve a "standard". Birds clean the berries off as they ripen in my yard. Not invasive here, I have not seen a seedling at all in 20 years of my father's bush growing next door, in the yards, or the woods around our houses. But interestingly enough, if I clean the fruit off the seed, sow the seed in a pot, and store in the refrigerator for a month or two, I get almost 100 percent germination. Only explanation that makes sense to me is the birds eat them all, since they will get the cold and damp treatment naturally outdoors. Only issues I see with it is while stopping by to eat the beauty berry seeds, birds tend to drop off seeds of other invasive plants like Chinese Privet, and Japanese Honeysuckle, and its hard to remove them out of the beauty bush when they sprout and get entangled which can be a chore. You can add Madisonville, Louisiana to your list of locations for this plant. I just discovered it in the woods next to my house, and I am going to try and transplant it to the yard as it is known to attract birds. Surprisingly, I am adjacent to the shores of Lake Ponchartrain, have lived here a month, and have only attracted a couple of very shy cardinals to my feeders. Love this plant. I am new to beauty berry but the past few years have been making beauty berry jelly. It is wonderful. The berries are edible but awful tasting. The jelly is a nice deep pink. You won't want them off your property once you try the jelly. Recipes are available on the web. I love beautyberry because the birds love it! With so much habitat destruction, providing food for birds and butterflies is my primary objective when choosing plants for the garden. Mockingbirds love the berries! Cardinals like them, too, and I have also observed a red-eyed vireo and gray catbird eating the berries. Squirrels eat them, too. There are some seedlings dispersed by the birds. I dig them up and give them away. I wish I had room for more beautyberries in my suburban yard. The berries are eaten so quickly in the fall. It is an important food source for the birds. I was recently told that rubbing beautyberry leaves on your skin repels mosquitos. I am going to try that. I live on the Gulf coast of Florida, the violet version of the Beautyberry grows well in the wild here. Some of you seem to be trying to grow it, so I'll tell you what it likes. People don't realise it, but Florida is actually quite dry all winter, but never quite too dry for at least a moderate morning dew. There are quite a few wild cactus. The Palms accumulate moisture through the leaves at night, these leaves lead the moisture directly into the trunk of the tree. Dew lifts by 10:30 every summer morning, 9:30 in the winter. The Beautyberry likes the well drained sand, a little top dirt about enough for the weeds, but not enough for it to actually grow in the hedgerow. It grows on the South side of any thicket where there isnt enough top... read more dirt for any thing to grow taller than waist height. Where the hardier grasses have good enough soil to grow into an actual mat, it does not compete. Hope that is of help to you. There are but a handful of negatives out of all these posts, and I can see it some cases it's a problem. On my property in Valkaria, Fl, I have broadcast the seeds and finally one has germinated and is growing nicely. Looks like I may have to keep it under control. So far it's very attractive. I read the berries are edible, but I have my doubts. I wasn't impressed with this 'nothing special' bush when I first moved to this house in the spring of 2009. Then around August I saw the purple berries and fell in love! I gave it no extra attention during the drought last year and it survived beautifully! Super easy to root tip cuttings too! As a side note, my dog loves to lay under it and has no fleas or tics. Kinda makes me wonder if the old settlers who broke off branches and stuck them under the horses yokes to ward off mosquitoes and biting flies has some merit. Beautyberry is not fussy, requires virtually no care, and will provide shelter, nesting habitat, and important winter food for songbirds. Several years ago, I stumbled onto the idea of transplanting several volunteer seedlings to the beds under our living room windows, and as a result we now enjoy watching mockingbirds, Carolina wrens, and other friends visiting the berry-laden branches just outside our windows throughout fall and winter. I love this plant! We moved to SC from CA and had never seen it before. There was one in the yard when we moved in, living under an oak tree. As it was winter, all I did was trim it back, not having any idea what it was. I still didn't pay any attention to it as summer came. One day I looked out the window and lost my breath. It was ablaze with glorious purple berries! It has been a favorite ever since and I can't get enough of taking pictures of the lovely berries. It was my sister in Georgia who finally told me what it was. Now I am moving to the country where I will have plenty of space for any plants I want. I need to try to get some seeds and grow some plants of my own that I can have there, but I have worked full time all my life - I am not a gardener! Help! I need details ... read moreon how to do this. Can someone help me? THE AMERICAN BEAUTY BERRY IS ABSOLUTELY THE HARDEST PLANT ON MY RANCH TO CONTROL. IT TAKES AWAY FOOD FOR MY CATTLE BY SMOTHERING OUT THE GRASS. WE MOW IT DOWN WITH MOWER WHICH GIVES A FEW WEEKS FOR THE GRASS TO REESTABLISH THEN THE GROWTH OF THE BEAUTY BERRY OVERTAKES THE GRASS. TO THIS DATE I HAVE NOT FOUND A HERBICIDE THAT WILL KILL IT. ALL THAT IS SAID ABOUT THE BEAUTY IS TRUE BUT IT IS NOT A CATTLEMAN'S FRIEND. Easy to grow, easy to control. Provides food for lots of wildlife and birds. 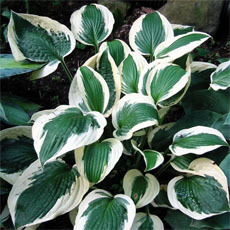 Grows in shade, sun, or any combo thereof. I move volunteers to group these together because they look great planted in masses. We're in Western Orange County, NY State. Planted 2 of these a few years ago and forgot about them. Nothing happened for years, then this summer they flowered and now, in November, still have those electric-violet berries on them! My husband wants more of them, and so do I - don't need a lot of care, and the deer (usually) seem to leave them alone. I'm interested to read about propagating them and also wonder how much luck people have had growing them from seed. Does anyone know how vigorously to remove the fleshy coating? I've picked them but I don't want to totally "scarify" them if that will damage them. Originally I commented on this plant under "Callicarpa rubella", but the plants growing in my yard are actually American Beautyberries. They are natives here in NE Florida, and can be found growing everywhere on my property. The small flowers are attractive to bees and some betterflies, the berries are a natural food source for Mockingbirds & other wild life. 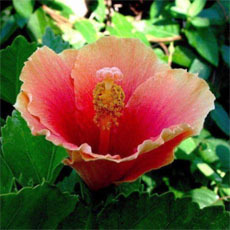 They make attractive bushes either singular or grouped together, and one plant can give rise to several "volunteers" which are easy to transplant. They are fairly easily controlled so they don't take over your yard. I love them so much I just dig up the volunteers & transplant them where needed. Mine grow in full sun or shade, they are not picky. They are also drought-tolerant & add interest to the winter landscape with their ... read morebeautiful fuschia berries. They look incredible when grouped together with my pyracanthas, the brilliant fuschia berries mixing with the red berries of the Firethorn, creating a natural winter "bouquet". I aggressively prune mine in early spring, resulting in tighter, thicker bushes with larger leaves, as compared to the leggier, "weepier" appearance of the unpruned bushes, so I prune where I want thicker, lusher bushes, and don't prune where I want leggier, more graceful looking bushes. A wonderful plant, one of my very favorites. I live in the very western part of Maryland, the mountain section with the Alleghenies a constant. The climate can be a challenge for gardening because it ranges from very cold, windy, and snowy, to hot and humid. The wind is always present. Last year I planted a Callicarpa because of the beautiful berries and its native plant status. Looking at the USADA Plant Profile, it lists Callicarpa as Endangered, Extirpated in the state of Maryland. I also noticed there is no listing for the plant on Dave' Garden. I can't say I've ever been first at anything. Are there other Marylanders growing this plant? Looking at the comments about the plant surviving under pine trees, it is a given that I will plant more. The berry color is spectacular and everything else... read more is a bonus. I am pleased and surprised to see a 6' Beautyberry bush/tree growing in my new backyard. This was planted by the previous owner, who left the identification tag on the base of the tree. After reading all the comments, I thought some people might find it interesting that this plant, a native to the south east is thriving up here in the Pacific North West (aka-wet) coast! We have beautyberry all over our 10+ acres of pine / live oak forest, and it's wonderful. I appreciate all the "from seed" propagation advice, as we want to grow it as a border along our driveway. It seems to grow fullest near the road, where it gets the most sun, but it's prolific deep in the woods as well as close to the house on the edge of the woods, and the deer love it! We recently attended a wild edibles presentation at a local county park, and beautyberry jam was on the menu. I can't think of any other plant I'd rather have running roughshod around our place. It's welcome here! I can't count the number of American Beautyberry "bushes" we have on our eight acres here in south Mississippi. I rate the bush "positive" because it's useful to wildlife, it's beautiful, AND it's not what I thought it was - Poison Sumac or some other dangerous plant. Much of our place is overgrown (for a shield from the road and for wildlife habitat), and the Beautyberry grows wild amongst amongst all the other wild brush and briers, and grows well, it seems. Of course, we have few heavily shaded areas, so most of the place gets lots of sun. Grow, American Beautyberry, grow !! Aromatic and attractive shrub. Seemingly fairly easy to transplant from wild. 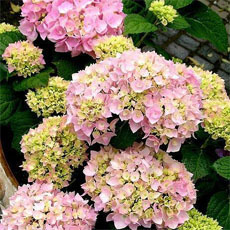 Can grow in shade or sun, moist or dry conditions. Have seen specimens in Bell Co. growing in holes in limestone rock in full sun- obviously very tough and drought tolerant. Purple berries are eaten by birds, and plant is an excellent xeriscape consideration. I have to laugh at people in Florida who give this plant a negative rating, then use "native" & "invasive" in the same sentence while talking about it. 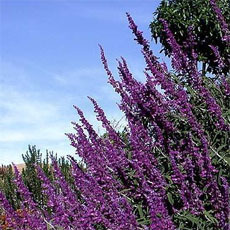 A plant can not be invasive in its native territory. I love this plant, its Berry's make a great jam & are delicious in pancakes. I found just 1 on my property, so I harvested the berries dried them & grew more plants from seed. I now have a hedge row of beautyberry bushes & I love it. To keep it from getting to legging pinch off the tops of the taller stems. I have found that the berries and the leaves, when crushed in your hands, you can rub it on yourself as a fairly good mosquito deterent!! It dates back at least some 200 years as a mosquito repellent and branches of the plant were once used by farmers to keep mosquitoes and horse flies off the horse and cattle. Since moving to East Texas from Houston in June, this was one of the first plants I discovered on the property with it's pretty pastel pink blooms. It seems like "just one day" the blooms turned into striking purple/magenta berries. I have recently made a jelly from the berries of one of the plants that tastes pretty good. Next year I think I'll try American Beautyberry wine-well I hope to since it will be an experiment because I have never made wine before!! Unless of course I d... read moreiscover that the birds or other wildlife want them; as of this date they have not been interested. Zone 8 near Austin, TX: Not only do my resident wild birds eat these berries in winter (some years more so than others) but a small thicket of these shrubs is the perfect gathering place for them when they seek shelter. 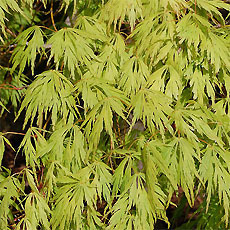 The leaves are soft enough to be gentle to birds on the move but large enough to provide excellent cover. Summer residents and Fall migrating warblers, vireos, tanagers, grosbeaks and buntings use ours for shelter every year and they sometimes pop out to show themselves at the end of branches to pose for pictures near the berries. Plant these near a water feature and you will have a dependable spot to view rare birds that are passing through your property. The berries are supposed to be good for creating fabric dye. I purchased this shrub three years ago thru the mail. It was a stick when I planted it and growth was very slow. It didn't seem very attractive to me and I was wondering what had prompted me to purchase this plant. Last spring I moved it to a sunnier location and it produced the purple berries for the first time. I was working in the garden and noticed the birds flocking around this shrub and wondered what was up. When I took a closer look, I noticed the purple berries. I had almost tossed this plant. Very happy I didn't because watching the birds flock around this shrub was worth the wait. I was a little worried about it surviving our winter but it's flourishing. Here's an odd one for you all. In October of 2006, I cut some sprigs of beautyberry (Callicarpa) (with the beautiful berries, of course!) and inserted them into a little bottle with a tight neck, and put in water. I noticed around Feb. of 2007 that one of the beautyberry sprigs had sprouted leaves....without putting out root, mind you! Isn't that odd?? I thought maybe it was a fluke, or some kind of bionic plant, or something! I couldn't think of another plant where I'd seen leaf come out before root. So I tried it again this season. October 2007, I again cut twigs of beautyberry and again put the twigs into a narrow-necked bottle with water at the base. The same thing happened!! I'd like to hear your thoughts about this, and whether anyone knows of other plants that put up leaf before roots when they're put as twigs into water. This grows where it pleases on my land. It survives being mowed to the ground, often. It's attractive and tough, and the purple of the berries is stunning and seems uncapturable on film (maybe one could Photoshop a digital image to capture the true color). People sell some non-native species as ornamentals: why bother? This one is pretty impressive. I haven't tried eating the berries. I wonder whether careful selection and breeding could improve size, flavor, and yield. I can see how it could become weedy, but compared with some of the weeds I have here it's a wimp. For some reason mine doesn't grow fast. I have had it three or four years and it is still shorter and thinner than me. American Beautyberry Callicarpa americana is Native to Texas and other States. If you live in my zone I would say stay away from this plant. It is a horrible weed here at my house. I have one that has taken over an 8 foot azalea. Once they get established they are really hard to kill. They also freely send seedlings all over the property. This is a very hard weed to control. This is one of the toughest, most drought tolerant shrubs in my yard with pretty foliage and beautiful berries. I've never had any it self sow at all. I would add that the notes above say it requires acid to neutral soil. Mine is about 10 years old and is thriving in very alkaline soil. The internet provides differing opinions as to whether beautyberries are edible or not, and some people say that they taste bad. I've tried them and thought they were good. They are sweet and some have a mild spicey flavor. They are not juicy like a blackberry and have a pulp that reminds me of a soft, mealy apple. I don't believe that they are poisonous because they didn't seem to have any negative effect on me for having eaten them. They grow wild and plentifully here in Tampa and produce a huge number of berries. I think that they are pretty. I'll harvest a bunch this fall and try to make some beautyberry wine. This plant is a native and I am always pulling them up out of my ditch. However, it is not quite as invasive as some of the other undesirables that grow here. This plant is a native here, it is all over my property and grows very big and invasive. I think of it more as a weed and have been fighting to get it off my property. I had this growing in a full sun flower bed, surrounded by periwinkles and it made a beautiful carefree color bed. By the end of April the beautyberry was about 4 feet tall and already had a load of berries and was still producing blooms. We had a good rain during the night and I found all the stalks on the plant had broken about 1 foot or so above ground. The main stem of the plant was about 1 inch diameter and semi woody, but I'm assuming the weight of the leaves and berries were too heavy for it to support once they were rained on. I'll try again by putting it in a more protected area. Wonderful plant indigenous to North America. The photographer of the plant said this about it, "American beautyberry (Callicarpa americana) is a good nectar and pollen plant. The fruits are not terribly popular with birds, but are occassionally eaten by mockingbirds". This has been in the garden for about 6 months. It has set many berries. It seems to like a moderately moist area in part sun. I have grown this species now in Pennsylvania and New England (Zone 5) and it performs beautifully. It needs a bit of extra mulch in the winter but will go over fine. It is absolutely lovely when the leaves come off and the berries are hanging on by themselves. 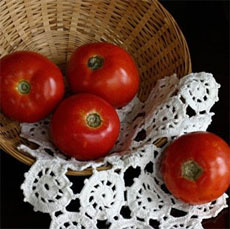 It is an old fashioned or heirloom variety and I highly recommend it. We bought 15 acres in the Capote Sandhills south of Seguin, Texas. It is heavily forested with sandy loam soil, and is LOADED with beautyberries!! I was delighted this summer to find a white-berried one close to the house, but my heart still belongs to the more populous magenta-berried variety. They seem to grow readily in anything from part sun to full shade, and I'm told they can be propagated by either seeds or cuttings, but that I will have more success getting other white-berried shrubs with cuttings rather than seeds. I haven't ever cut one back, but will try it in late fall and see what happens. I am a new admirer of the American Beautyberry and so far I haven't found the place that it seems to thrive. I live in west central Ga, where we are famous for red clay. With our wet spring, my shrub has begun to drop it leaves as though it is dying. I removed it from the ground and put it back into the pot til I could determine the problem. I'm hoping that it will recover and I can relocate it later this year so I can begin to enjoy this beautiful plant. If anyone has any suggestions, I would love to hear them. Great plant for shade. Native Texan as well. Long lived ~ one plant I have has been in the same spot for over 25 years, is now 5 feet tall and twelve feet wide. Although I never tried growing them, as a canoe tour guide throughout the state of Florida I see them in a variety of habitats everywhere I paddle. In my experience the best tasting ones are on plants growing on or near a riverbank that provides more sun than shade with a lot of leaf litter over the soil their growing in. They're shorter but bushier and produce more berries. Since I only remove 10 to 20% of the berries on any plant I'm leaving plenty for wildlife and the plant's reproduction, thereby creating as little human impact as possible and still enjoy a breakfast of Beautyberry pancakes. If you don't use this plant in your landscaping for any other reason plant it for the birds - they enjoy the purple berries and will reward you with their songs. I live in north central Florida, and I like to use native plants, particularly "volunteers", in my landscaping. In that regards, Beautyberry is a positive addition to my landscaping. This plant grows native and flourishes on my heavily wooded property in Magnolia (near Houston), Texas. In searching the Web to try and find out what it was, I found this site, and I am so glad! I have one plant in a shaded, secluded area that is around 8 feet tall, and many other smaller plants, most of them under Oak trees. The beautiful purple berries are adding much-needed color to the landscape. Most of the plants didn't bloom well this year, and right now the leaves are yellowing and dying off, but I plan to prune as the colder temps arrive and hope to have fuller plants next year. Beautyberry is one of the plants I have grown over the years that always gets favorable attention. I am creating a new garden now, but the 3 gal potted beautyberry I planted here in early spring is doing fantastic and is over 3' tall with a large crop of berries. These shrubs are quite tolerant of drought once established, but they are much happier in moist woodland dappled shade and sun. Mine gets morning sun and afternoon shade next to a young cypress tree, and it is very well foliaged. 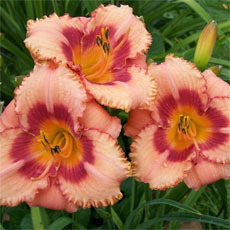 In fact, I need to rescue some daylilies from its shade! I just planted one about two months ago. It had flowers on it when I got it but now just the berries. It has not grown any but it doesn't seem to be bothered by any insects either. I am hoping that it can survive our winters. Of course in Texas you never know what kind of winters we will get mild or severe. I live on six acres in an oak hammock in Northcentral Florida, zone 8b, and beauty berry is growing everywhere on my property. It is native, and in the shade of my oak trees grows quite lanky, up to about six feet tall. Where it gets more sun, in some cleared areas, it's more attractive, and gets quite bushy, with the branches arching over. It is a quick grower and spreader, but is so attractive that I don't really mind. I prefer it to poison oak and Virginia creeper as a native plant to have everywhere. I'm constantly finding baby plants by the larger plants, but don't know yet if they are suckers or come from fallen seed. In midsummer the small, shortlived, pale pink flowers are quite attractive, and the later purple berry clusters are outstanding--their color is quit... read moree intense. I've read that it can be severely pruned almost to the ground in late winter to encourage heavy flowers and fruiting later in the year. The plant is deciduous, and not very attractive in the winter--just a lot of bare brown branches sticking up out of the ground, so in the garden I would put it someplace where this won't seem out of place or unattractive, such as in a "naturalistic" part of the garden. 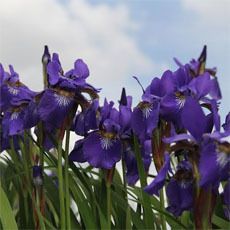 It grows naturally on the forest floor, so I would think that if you try to replicate those conditions of filtered sun, a rich, organic soil and lots of water--we average 60 inches or so of rain, but will probably get over 90 inches this year--you can grow this very attractive native plant in a garden. This is one of my favorite shrubs. It provides interest from spring through fall; first in the spring and summer with the flowers and the pollinators it attracts, then following with beautiful clusters of purple or white berries. The white-berried plants are albino (var. alba) and are also native. Mockingbirds will sit on the plant and eat the berries one at a time. I have also seen squirrels eat the berries. They are edible for human consumption "as is" though they don't have much flavor to them. They are delicious when made into jelly. I have had only a few volunteer plants and have not noticed them to be susceptible to any plant pests. This shrub should be planted in amongst other plants/greenery to hide it when it it goes dormant in the winter. It... read more can be pruned in late winter to about 6" just before the leaves start to flush out. This will make it much fuller and reduce the shrub height. They can get tall and a little leggy if left unpruned. I recommend pruning if it will be in a more formal landscape situation. 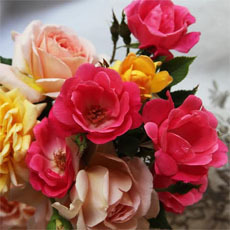 Pruning will increase the flowering and fruiting as flowers occur only on the new growth. Early Floridians, and possibly latter day ones also, made jelly from the berries. I have not done so, but have a recipe that i expect to try one of these years. But note, mockingbirds love these berries and will sow them everywhere. American Beautyberry has done extremely well for me on a dry hill in Zone 8b Florida. It is native here, and can become a quite large shrub. The purple berries in late summer and fall are spectacular. It can self seed some.